Shawnee is the third largest city in Johnson county. In 2010, Shawnee was recognized by Money Magazine in its annual “Best Places to Live” survey, placing 17th in the United States. Shawnee is acknowledged for its air quality index, median commute time, and affordable housing. Shawnee, Kansas is in the Kansas City Metropolitan area making your daily lifestyle accessible. What’s Around Our Apartments in Shawnee, Kansas? 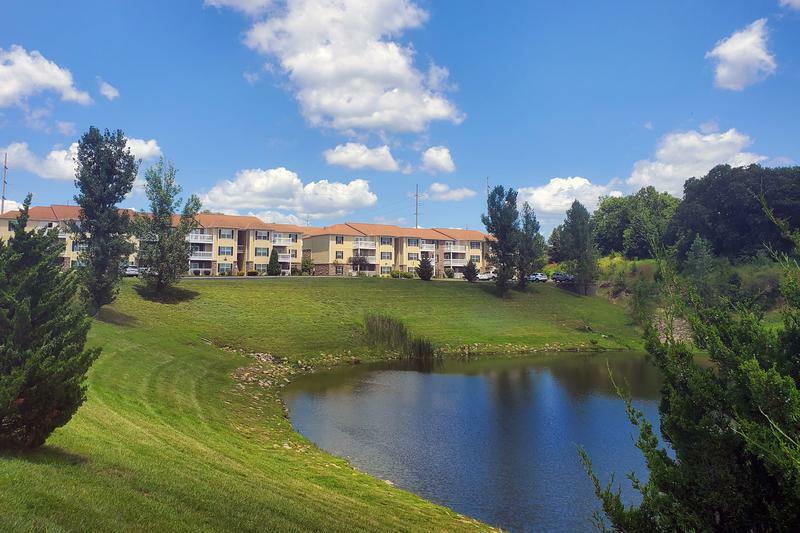 Our community offers 2 scenic lakes with walking trail while being centrally located off Shawnee Mission Parkway east to Lackman Rd and accessible to major highways, like I-435, I-35, I-70, K-7, K-10, and US-69. For those who travel often, Prairie Lakes is just 30 minutes away from Kansas City International Airport. The Shawnee Station Shopping Center is a popular shopping and dining spot and is located less than a mile away from our apartments in Shawnee, KS! Some of the top employers near our Shawnee apartment community are actually employed by businesses in the Shawnee Station Shopping Center. Employers like Chili’s, Lowes Home Improvement, Aldi, Target, Wal-Mart, Home Depot, Kohls, Sprint, Michael’s, Pier 1, Office Max, Super Cuts, and Grand Wok are just around the corner from our community. Other major employers are Cerner, Overland Park Regional Medical Center, Waddell and Reed, and EC Manufacturing. For the food lover Shawnee, Kansas is in the Barbecue Capital of the world! The cuisine variety is endless in the Kansas City Metropolitan area. Everything from American to specialty goodies. Enjoy a romantic dinner or a family friendly night to remember. Who could pass up the opportunity to experience all that the Shawnee and Kansas City Metropolitan Area have to offer at our apartments in Johnson County, KS? There are plenty of outdoor activities with Swarner Park less than a mile away from our Shawnee, KS apartments for rent. Shawnee Mission Park and Charles J Stump Park are less than a 10 minute drive away. The Kansas City zoo is just a short 30 minute drive from our Shawnee apartment community. Other exciting sites to see are the Wonderscope Children’s Museum of Kansas, The Rose Garden In Loose Park, Union Station, J.C. Nichols Memorial Station, Birds Botanicals, Powell Garden, Shawnee Town Museum, and the Shawnee Indian Mission State Historic Site. Shawnee Parks and Recreation is always working to create more activities in the community. Find something to do for just about anyone. From aquatic centers, green space and tennis courts, there is entertainment for everyone in the city of Shawnee! Looking for professional sports? The Kansas City Chiefs and Kansas City Royals are two professional teams in our area. The Kansas Speedway is close by for those with the need for speed. Enjoy our affordable apartments nestled around two lakes at Prairie Lakes. Apartments are available in one, two or three-bedroom floor plans and range from 773 to 1375 square feet, ensuring there’s a right fit out there for everyone. Our Shawnee apartments are also pet friendly to accommodate every member of the family. Residents of our apartments are able to enjoy our fitness center, playground, walking trails and more! In each of our Shawnee apartments you’ll find a full-size washer and dryer, central heating and cooling, wood-style flooring and a private patio or balcony. Call one of our staff members today to schedule a tour!